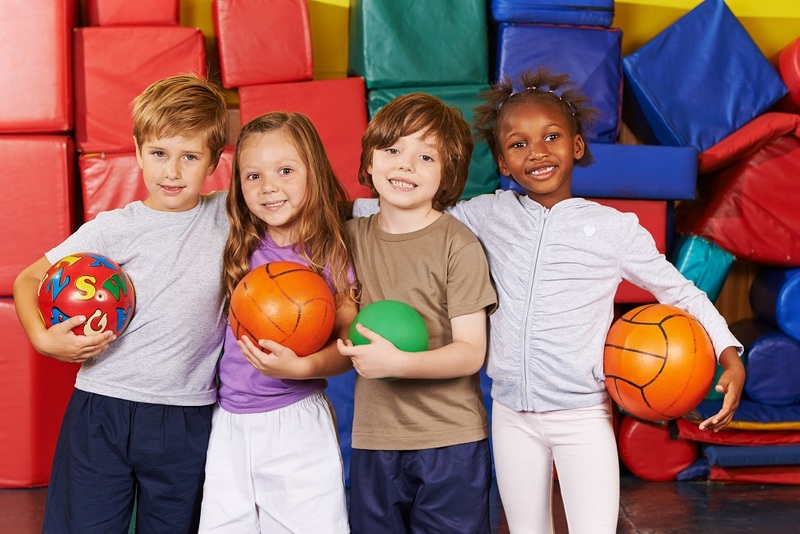 If you’re like me, you’re always looking for new ideas and creative solutions for physical education. In Spring of 2015, I came across a video about a Mini Golf Lesson on Ben Pirillo’s YouTube channel. If you’re not familiar with Ben Pirillo, he is the 2016 TAHPERD PE Teacher of the Year and 2016 SHAPE America’s Southern District PE Teacher of the Year. I’m always getting great ideas from him and this Mini Golf Lesson really grabbed my attention. 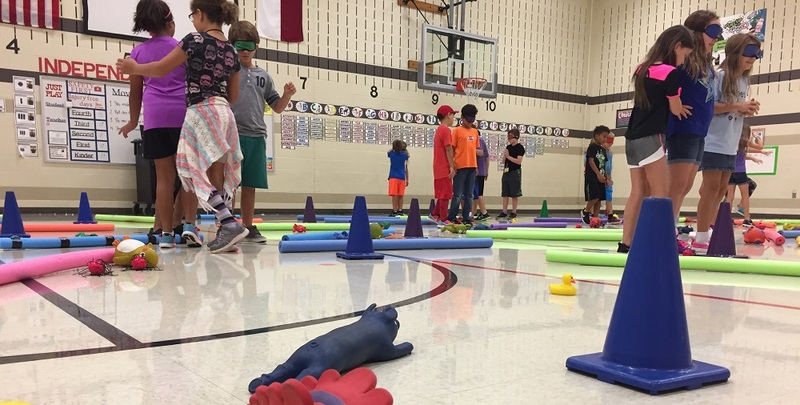 Not only was the activity incredibly creative, but mini golf is a fun activity that students can connect to their experiences going to miniature golf courses. This idea also combines STEM with physical education. 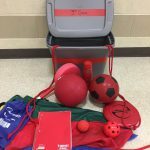 As you know, we PE teachers often have to adapt activities we see to use the equipment we have on hand. In the video, Ben uses 10 foot 2×4’s to outline each hole. I tried to set up my holes using pool noodles which I had on hand. This worked okay, but they were easily moved by the students as you can imagine. Knowing my budget limitations, I reached out to some parents and thankfully a parent in the construction business was more than happy to donate what I needed. Pool noodles are fun for obstacles though! 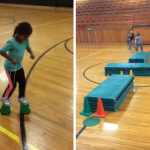 Variety of equipment to create obstacles. Some equipment I used included rubber critters, tires, buckets, cones, medicine balls, pool noodles, and mats. Now that I had the right materials, I was able to set up a 10 hole mini golf course using a variety of equipment to create the “obstacles” on each hole. I have a school set of plastic putters and foam golf balls. Instead of using plastic holes that came with the set, I used Thin Pins placed on poly spots as targets. When the foam golf ball made contact with the pin or knocked it over students successfully completed the hole. Students golfed independently moving from hole to hole as they completed each one. After the Day 1 lesson, I was reflecting on how much fun it was for me to create each hole. I was also thinking of ways I could improve on this lesson to increase student engagement and critical thinking. So on Day 2 of the mini golf lessons, I placed a variety of equipment in a pile at each of the 10 holes. I asked students to think about their experience from Day 1 lesson. I placed the students in small groups with groups rotating from hole to hole every 7 minutes. This time, groups designed their own obstacles using any equipment they selected. I also had an extra pile of equipment and gave students the option to exchange one item at a time to add to their ideas. They were encouraged to try a few different ideas at each hole. I was pleasantly surprised at just how much my students enjoyed this activity. As the kids worked (and played!) I just sat back and watched with amazement at the cooperation and creative thinking that was taking place by each group. I will admit they came up with some better ideas than I did! 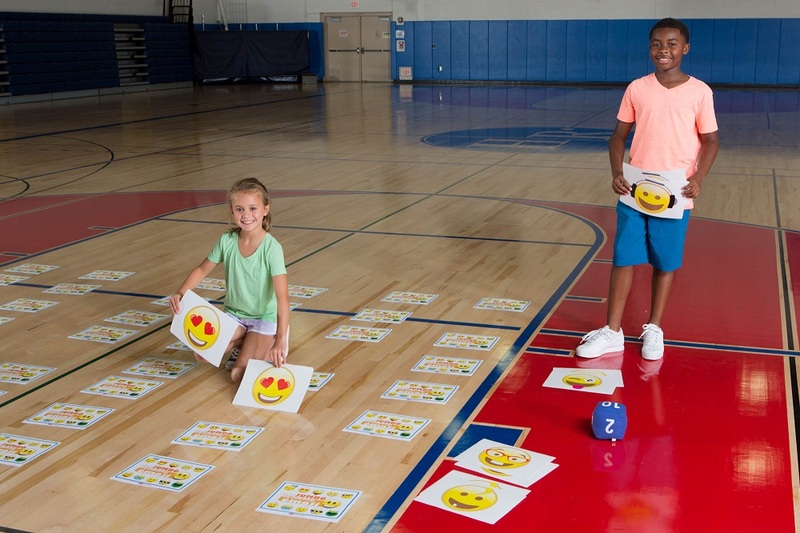 Find more ideas on how to incorporate STEAM with physical education here. 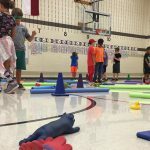 This entry was posted in PE Activities & Games, PE Central and tagged gym class, Jason Leach, lesson ideas, mini golf lesson, PE, PE activity, PE Teachers, physed, physical activity, Physical Education by Guest Blogger. Bookmark the permalink. This is such a cool idea and I’m sure the kids had a blast! Really outside the box thinking, I dig it!